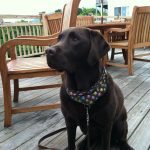 The Wonder View Inn is a pet-friendly property. 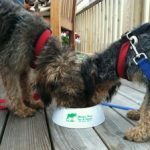 We also allow pets to dine with you on the deck of our Looking Glass Restaurant. We are one of the very few area hotels that allow pets and we even provide a water dish at check in. 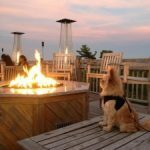 There are many pet friendly attractions in the area – including downtown Bar Harbor shops and of course Acadia National Park! Cats and dogs are welcome to stay for $20 per night per pet. We are pet friendly, but we request all pets are claimed at check in and that no pets are left unattended in the room at any time.